COME April 1 and all five associate lenders of SBI will merge with it making SBI a lending giant of global standards. These associate banks include State Bank of Bikaner and Jaipur, State Bank of Travancore, State Bank of Patiala, State Bank of Mysore and State Bank of Hyderabad. Among the associate banks, State Bank of Bikaner and Jaipur, State Bank of Mysore and State Bank of Travancore are listed. 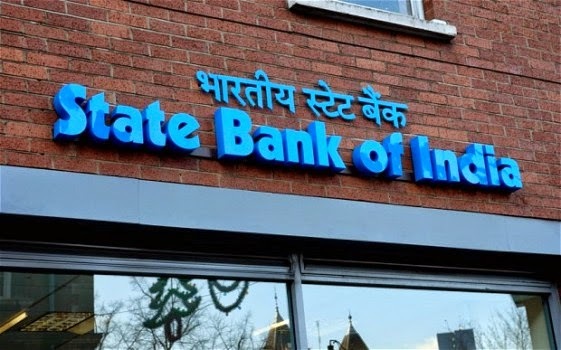 In June 2016, the Cabinet approved the merger of State Bank of India (SBI) and five of its subsidiary banks to make it a global-sized bank. The merged entity will become a banking giant with an asset base of about Rs 37 lakh crore with 22,500 branches and 58,000 ATMs. The merged will also have over 50 crore customers. SBI first merged State Bank of Saurashtra with itself in 2008. Two years later, State Bank of Indore was merged with it. In case of the other three associate banks, the notification states that the shares would be delisted on 1 April. The shares would be converted to those of SBI, according to the swap ratio approved by the bank’s board and the government. The merger is likely to result in recurring savings, estimated at more than Rs.1,000 crore in the first year, the government had earlier said. As per the ratio approved by the board of SBI in August 2016, investors in SBBJ holding 10 shares will get 28 shares of SBI. And, investors in SBM and SBT holding 10 shares will get 22 SBI shares each. The whole-time directors, including the managing directors of all five associate banks, will cease to hold office and their respective boards will stand dissolved. “The next course of action is to enact the swap of shares for all the shareholders of the associate banks. The time period required for that is 30 days, so we will focus on that. After the audit of all banks is completed on 31 March, we will begin the granular merging of each bank. That should take about six weeks, since we will only be able to do it on weekends. By end of May we should have merged at a granular level. In about a month or two after that, we will also complete the rebranding of all branches,” said Arundhati Bhattacharya, chairman of SBI. Earlier, she had said that the consolidated balance sheet of the merged entity would be Rs32 trillion. The merged entity would have deposits worth Rs26 trillion and nearly Rs18.76 trillion worth advances on its books. The whole process of merging SBI and its subsidiaries has faced resistance from employee unions fearful of job losses. Two associate banks, SBT and SBM, recorded a loss for the quarter ended 31 December 2016. These associate banks have also seen their asset quality worsen over the last year after the Reserve Bank of India followed up an asset quality review in October-December 2015 by ordering banks to set aside money against previously unrecognized stressed assets.